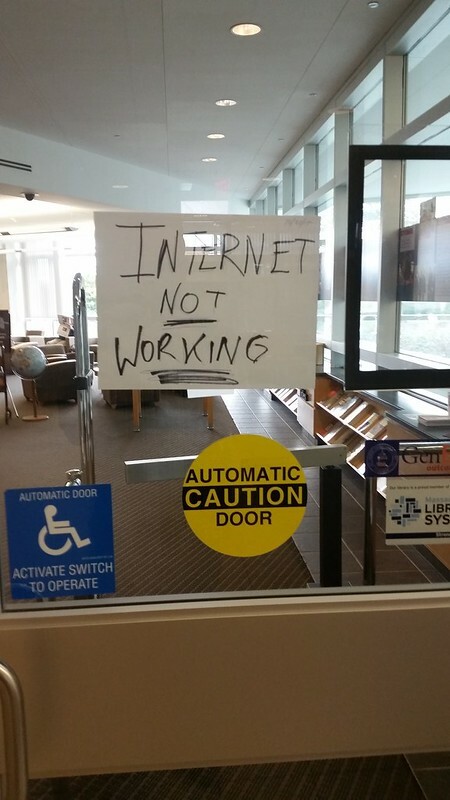 A sign reading "Internet Not Working" on the door to the library. This image struck me as amusing--the analogue solution to a digital problem. That's in marker, makes it all the more amusing, especially when juxtaposed to the other formal signs around the automatic door. I also wondered what kind of impact this is likely to have on the library itself, an institute that is increasingly digital and therefore, would students begin to shift through the stacks or stare blankly at their computer screens. Some cracked open the books, others pulled out their phones, and some--as usually--just took naps.